It can slow down or crash, which do you prefer? orondf, Reehahs, qking and 4 others like this. This article makes little sense to me. What do you mean by "However, the optics of the change is less than ideal, to put it mildly..."? Are you inferring that it cannot be turned off completely? I'm not a fanboy, of anyone really. I just don't see what the fuss is about if you can turn it off. It's a non-issue. Complain about something that you can't control, like outrageous fees for replacing iPhone batteries. 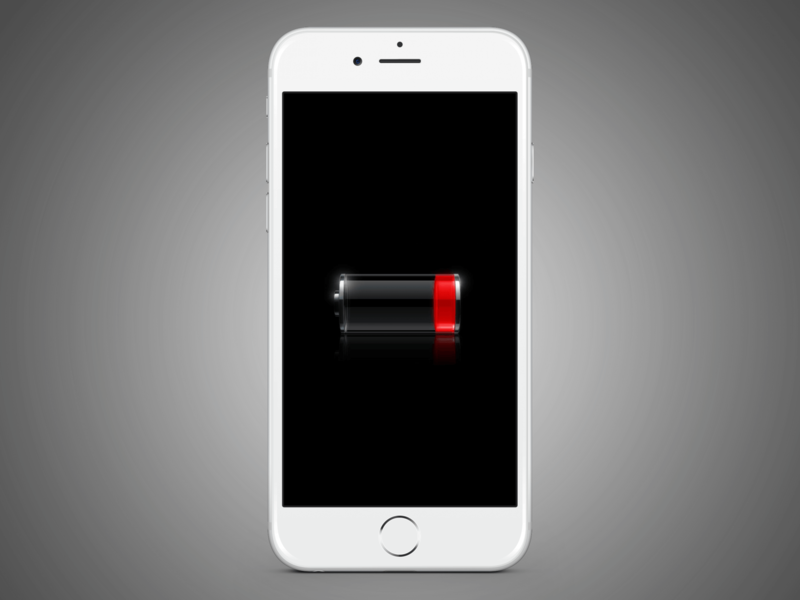 in 2019, it will cost $49 to replace a battery for any supported phone prior to iphone X. iphone X and later will cost $69. This seems hardly outrageous for an apple official battery replaced by apple and guaranteed by apple. But yea this article sounds like it belongs on an angsty tech teenagers blog IMO. You can choose between having your phone slow down a bit, or having your phone battery degrade even faster and risk random shutdowns. Apple defaults to the one that is the best user experience. No android phones avoid making this decision, but they are good at pretending it doesnt happen. There are plenty of less-user friendly things to hate apple for. Like the lack of headphone jack on the new ipad pro which they market as a mobile companion to the serious musician. Obviously the jack was not a replacement for real interfaces, but as a mobile solution, it makes way more sense than to tell creators to carry their whole setup around. Gee. Clickbait , or does the author just not understand a simple issue? I don't see all the outrage regarding the article. He's just stating they added the iphone 8, 8 plus and X to the list of throttled devices. It used to cost more $$$ I believe. $50 / $70 really isn't that bad at all considering their biggest competitor, Samsung; doesn't offer a compatible service as far as I'm aware. If that price includes an "expert" opening up your phone and putting in a brand new OEM battery and putting it back together without damage, then that is actually a decent deal. Onto an actual complaint to Apple. WHY can't I invoke "Hey Siri" wearing the Apple earphones??? Not being able to do this when wearing headphones with a mic and the phone in my pocket almost defeats the purpose of the Hey Siri feature. Hey Siri if enabled should be listening and work all the time through all audio devices with a mic. A few comments here I believe are missing the point. This is a follow up story to the whole iPhone battery/slowdown series/fiasco where Apple did not care to admit for years that they slowed down phones when batteries were no longer up to snuff. So first issue was lack of transparency, the second was how costly and inconvenient they made it to replace the battery of otherwise fully functioning phones (in many but not all cases). This was convenient for Apple because many users simply ended up buying a new phone. All of this has been partly addressed by Apple although they are free to hike battery replacement prices later on. Also, while the usually build excellent hardware, they're also known to take an aggressive stand against DIY/independent right to repair. Charles Olson, ShObiT and Theinsanegamer like this. I think you're missing the point. the title is clickbait. It was never gone. It's been added to 2017 phones because it's been a year since release and there is a chance the battery has degraded significantly since release depending on the use case and thus would require potentially throttling to prevent crashes. Apple stated it was going to be added to 2017 phones at a later date when they originally released the update, and they did exactly what they said they were going to do. There's no "comeback" of any sort. The author also linked another post saying "Apple went as far as telling Congress that throttling would not be an issue with the newer phones due to hardware changes.". I just read that article and no where in there does it state Apple said anything of the such. This entire debacle is old news, and sure Apple messed up by not being transparent originally but now they're just beating a dead horse for clicks and frankly it's not great optics. You can change the battery for $60 or have your $1000 device run like a $500 one, which do you prefer? Charles Olson, ShObiT and Reehahs like this. Neither, considering my two year old android phone still works perfectly on the original battery. Charles Olson and ShObiT like this. That anecdote doesn't address what I'm saying at all. No matter who makes your phone, it has a lithium ion battery in it. Performance will degrade over time. If the battery becomes unable to supply the required power, you can sacrifice peak performance or stability. The point is you want a good battery no matter who makes your phone. Whether you want maximum speed or maximum stability, it should be in the hands of the user . I'd prefer the phone not crash until I decide to have the battery changed. And if you see speed degrade that much there is likely a problem with the battery anyways. It could always be the poorly optimized software if you're running android. My iPhone XR went all the way down to 1% battery reading before it shut off! Isn't throttling part of the OS? Not specific to a model of iPhone? CPU makes a weird noise as if plane is taking off and goes on making it even after it been booted?